You’d be forgiven for thinking that Bram Sluiter studied musical composition for many years before he started producing electronic music. One of those child prodigies perhaps whose innate abilities saw him grasp concepts of melody and arrangement with ease. The thing is, prior to Sluiter’s first forays into production around 2002 he had never played an instrument or had lessons of any kind. From the outset, with releases on Delsin and Music Man, it was clear the producer must have been working very hard at his craft, favoring a classic sound that referenced Detroit without simply aping his Motor City peers. 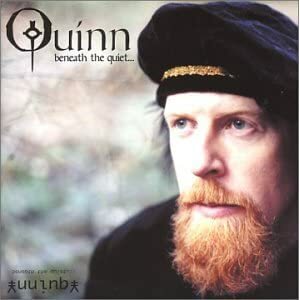 After a steady stream of quality releases and remixes, things went a bit quiet for Quince the last couple of years. LWE got in touch with the Dutch producer to find out what he’d been up to in that time, what gear he uses to get his particular sound and what his less obvious musical influences are. 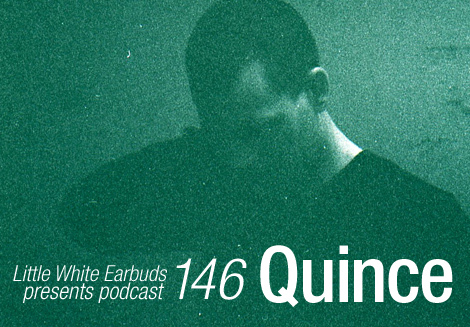 Showing that his musical expertise lies not just in production, Quince also treated us to over an hour and a half of his inimitable DJ abilities, making our 146th exclusive podcast an instant classic and the best way to start off your week. You first started releasing in 2006 as Quinn. Where did that name come from and why the change to Quince? Bram Sluiter: As I’m totally not creative with text, I found it really hard to come up with a cool name. So I just picked up the first book in sight and the main character turned out to be Quinn, and Quinn it was… until half a year later I received an angry email from another artist called Quinn (yes, this guy, no joke) threatening me with lawyers, court, etc when I wouldn’t change my name because he had registered it as a trademark in the U.S.
From your first release you’ve shown some mastery in creating big, yet melodic tracks. How long were you producing for before that first release? I started around 2002 I think, playing around on an old computer with Reason. But before that I never had any lessons or played an instrument or anything. So I think around three to four years. Detroit influences are very easy to hear, though for you what are some of the other sounds you feel you’ve absorbed and put into your music? I’m really into the west African funk/highlife/afrobeat sound. This stuff really inspires me for my beats. Besides that, I’m also into older electronic stuff like Tangerine Dream, etc. Did you have any association with the Delsin guys before your first release? The only association before my release was drinking beer on Queensday (a national holiday). There we started talking and made some plans for me to send music to them. Five months later my first EP was released on Delsin. What were some of your first pieces of equipment? Actually I started only with a poor computer, some headphones, Reason and later Cubase, so I used only software for my first releases. I did buy my first piece of “real” gear a few years later, it was a Ensoniq SQ-80. How much has your studio set up changed? From 2008 on I started to buy more and more hardware. Now I mainly use hardware. I think it inspires me much more, working with machines, compared to a computer and a mouse. I also really like the idea of all the restrictions you have on a machine — it maybe sounds weird but that also improves the creative process. At the moment my favorite pieces of gear are my Kurzweil K2000, Roland MKS-80 and Waldorf Microwave. Production wise it looks like you took a bit of a break last year. What were you up to? Last year I focused a lot on the engineering side of music. So I did a lot of mixing for other people. For example I did all the mixes for TJ Kong & Modular K on their Dream Cargoes album for Poker Flat. Besides that I produced a lot of new tracks, some are finished already, some not. So the next thing to do is some serious label shopping again. I understand you started producing first and only got into DJing more recently. How did DJing come about for you? The reason I choose the production side of music was quite a coincidence. The reason was it was just a lot cheaper because I was a poor student with no money and only needed a computer. Over the few last years I focused more on DJing and started to like it a lot. And how would you say it’s affected your productions? Since I started to DJ I started more and more to understand how tracks work on the dance floor. My tracks matured from pure listening stuff to tracks which also can be played perfectly on the dance floor. What is the difference for you between the feeling you get from playing a live set to the one you get from DJing? And is the response different too? The main difference is the fact I can be much more versatile when playing a DJ set. I really like to go from a classic house to techno sound and all around. When I play live I have less material to chose from. I also like the fact that when playing a DJ set I can surprise myself by playing new tracks and new combos. What have been some of the best places to play (either live or DJing) around the world for you? Really hard to tell. I really liked playing in Panorama Bar and Berghain, but also small clubs like Prater Sauna in Vienna. It’s a completely different feel. It’s also really important for me how you’ve been treated by the host of the night. Having to find your own food around eleven-o-clock at night is a lot less cooler than having a great dinner with nice people. Can you tell us a bit about your album En.vi.sion? How long did it take to make and were you setting out to make an album or was it a collection of tracks that you mostly had already? It’s a collection of tracks I produced in my first four years. When I met Marsel from Delsin we made a selection and that became the album. Is it likely that we’ll see another Quince album? Yes, you bet. I’m already collecting tracks. Can’t tell you when or where it will be released but it’s definitely coming. It’s a selection of new and old(er) tracks, techno to house and everything that’s in between. I really like mixing these together so they can lift each other up. Just check it and you’ll hear what I mean. And what can we expect from Quince in the next year? After a quiet year last year you can expect some nice releases on labels like: Kompakt, Clone and M>O>S. I also have a lot of new stuff I haven’t sent around, so maybe even more. Solid tracklisting, adventurous, and super smooth mixing. Very good work. Thanx Quince and thanx to LWE for bringing this podcast now. Works 100% with me! Another top quality mix from LWE, and of course Quince. Nice one. Just one word WOW !!!! !